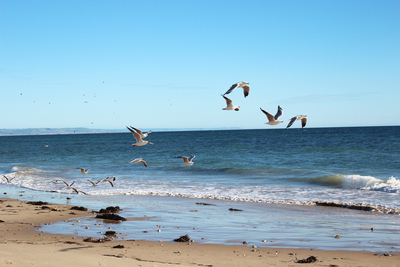 Moana Beach is located along South Australia's Fleurieu Peninsula. In winter the beach is populated by dog walkers whose pooches have free reign of the sandy stretch, but in Summer it's a popular spot that remains a little more relaxed than some of the state's busier beaches. The name is not a local name, it was picked as the winner of a naming competition in the 1920s. Still, it's fitting--Moana means sea or ocean in Maori. 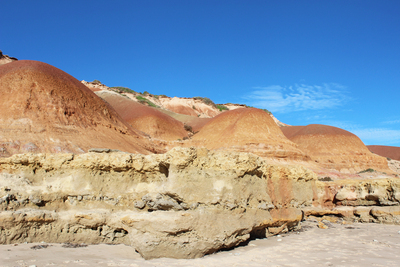 The beach has long stretches of golden sands; with cliffs to the north of the beach and sand dunes to the south. Moana Beach is one of the few beaches where you can drive your car onto the sand. It's useful because there are limited car parks nearby. Your car can make a good base if you're bringing along boogie boards or fishing rods and want somewhere to keep all of your stuff. There aren't too many businesses around the beachfront. 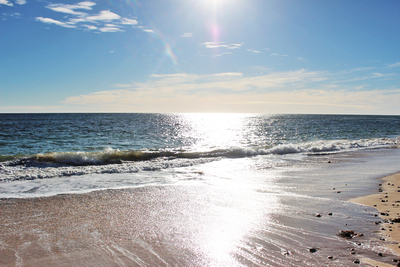 Unlike beaches like Glenelg, you're not bombarded with ice cream shops and fast food places. 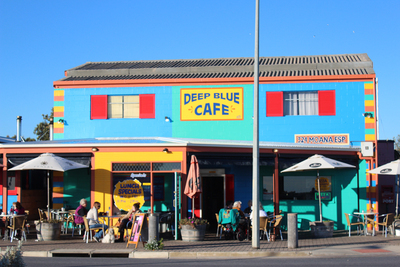 The Moana Surf Life Saving Club has a cafe and a bar that operate on some days of the week and Deep Blue Cafe is open for breakfast, lunch and dinner. It would be great to see a few more places specialising in seafood or cold summer treats, but the current set up has a quiet charm. If you want to stay nearby the Moana Beach Tourist Park has cabins and campsites available, but Moana Beach is also easily reached by the new Seaford train line. Just catch the train from Adelaide Railway Station to Seaford and it's a straight line to the beach. 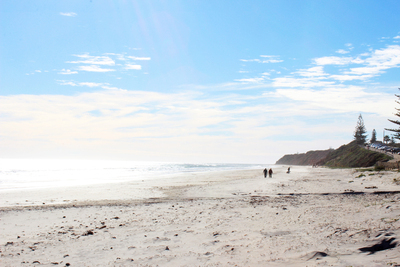 Moana might not be the busiest or most popular beach in South Australia, but there are few who live nearby that haven't fallen in love with it. Come and see why the locals love it so much.